Being a safe and responsible driver requires a combination of knowledge, skill, attitude and caring about the safety of others on the road. As a motorist, you are probably also, at one time or another, a pedestrian. The National Motorists Association believes that there should be one set of “rules of the road” for all users so that individual and shared responsibilities are clear to all. One basic rule for motorists is that every corner is a crosswalk. The crosswalk is where most interactions should take place between motorists and pedestrians. There are basically four kinds of crosswalks: Marked and unmarked. Controlled and uncontrolled. Marked crosswalks employ the stripes of white or yellow paint and sometimes red, while unmarked crosswalks are implied, invisible crosswalks in an area around 10 to 15 feet wide between two adjacent street corners. Controlled crosswalks either have a traffic signal or stop sign while an uncontrolled crosswalk do not explicitly force cars to stop for pedestrians. In order to make intersections safer, Los Angeles recently changed 67 intersections to give walkers several seconds more to cross the street and before drivers receive a green light. This is called a “leading pedestrian interval.” The city has also put in four “scramble crosswalks” which allow pedestrians to cross in all directions at the same time and has proven to be safer for pedestrians and motorists alike. States have pushed a number of laws concerning either stopping or yielding for pedestrians in uncontrolled crosswalks. Check out your state on the National Conference of State Legislatures Portal HERE for more information. Also, many cities have started implementing mid-street crosswalks that might or might not have an overhead light to indicate a pedestrian is present. If you see such a crosswalk with a pedestrian present, motorists must always stop and stay stopped until the pedestrian(s) crosses. These crosswalks may or may not have a pedestrian center median and you need to understand the laws that surround this particular crosswalk for both the motorist and pedestrian. In Wisconsin, state law requires that motorists yield to pedestrians. In observational studies conducted about 15 years ago in Dane County (Madison area), only about six percent of motorists were yielding to pedestrians. In 2003, Dane County launched a pedestrian flag program at 50 crossings and saw rates go up to nearly 90 percent. Motorists indeed have to stop when a pedestrian is holding that flag. Remember that every corner is a crosswalk. When in doubt, yield to a pedestrian. Don’t drive distracted, drowsy, high or drunk. Don’t block the intersection box (you can be fined for this). In urban cores, always look out for jaywalkers. Jaywalking basically means that a pedestrian walks across a street illegally. This includes walking across the middle of a street and not at the crosswalk, beginning to cross the street at an intersection with a Don’t Walk sign flashing, and crossing an intersection diagonally (unless it is a scramble crosswalk as described above). Jaywalking laws also forbid walking in a street if a sidewalk is available and disregarding signs and barricades put up to guide pedestrians. According to a recent GSHA study, fewer than 20 percent of pedestrian deaths in 2016 were at intersections. Seventy-two percent occurred in jaywalking situations and 10 percent were on highway shoulders and driveways. Jaywalking is a low level offense and usually can draw a fine in most cities. Local laws are generally stricter than state law. Police enforce jaywalking by issuing citations which can either be an infraction (similar to a parking ticket) or a misdemeanor. More infractions of course, fines increase. If you jaywalk and put others in danger, you could be charged with reckless endangerment, disorderly conduct or disturbing the peace. Cross the street at a corner. Look both ways and then again before crossing a street to make sure no car is oncoming. If you jaywalk instead, yield to the motorist because he or she may not see you even if they are driving slowly. At night, wear a reflective vest or coat so that motorists can see you crossing the street. Don’t ever assume a motorists can see you if you have the light or the right-of-way. Don’t ever assume a car will stop for you. Much has been written about distracted driving and that is certainly sometimes a factor in accidents involving pedestrians. But pedestrians also have a responsibility to know the rules of the road which means, just like driving, pedestrians should not use or talk on any electronic device, read a book or whatever kind of distraction that keeps the focus off of street surroundings. This could even include listening to music over headphones. In 2017, Honolulu, Hawaii was the first American city to crack down on using mobile devices while walking. The law simply states: No pedestrian shall cross a street or highway while viewing a mobile electronic device. If caught, a pedestrian can be fined $15 to $99. More cities will likely follow suit. Ten percent of all car/pedestrian accidents occur on highways with 90 percent occurring after dark. Apparently the most common reason a pedestrian is on the highway is to walk across it and generally there are no crosswalks on a highway. This means that the pedestrian should yield to the car in this case. Of course, some pedestrians are struck after he or she has been involved in a car accident or breakdown. This is also the case for the fatalities and injuries that occur for law enforcement and other service providers such as fire, ambulance and tow drivers and the reason many states have implemented move over laws. 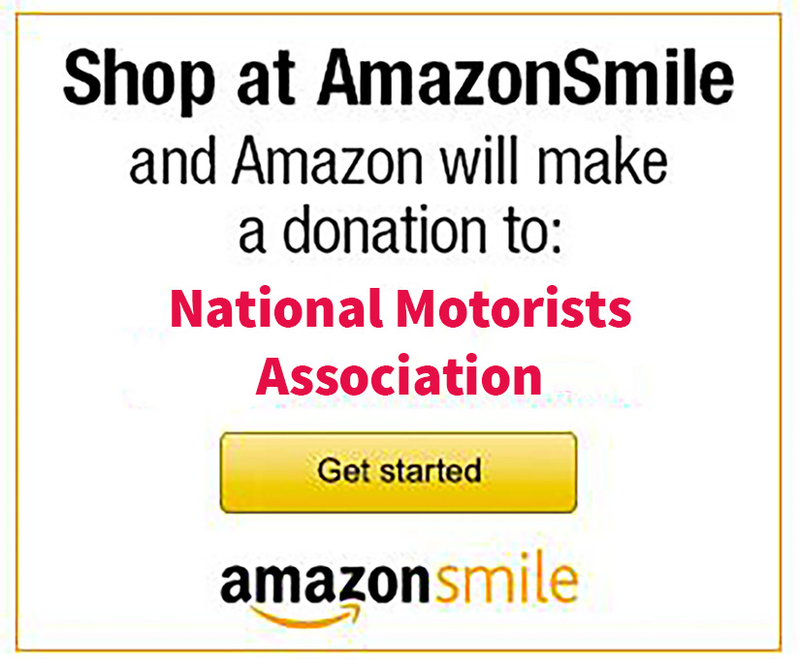 To fight for more common sense rules of the road that are fair to all users, consider joining the National Motorists Association Today!